I mentioned about being lazy during the holiday season, and the lazy bug's bite is stinging like crazy this week. Until one day it just hit me, I want to do something else. 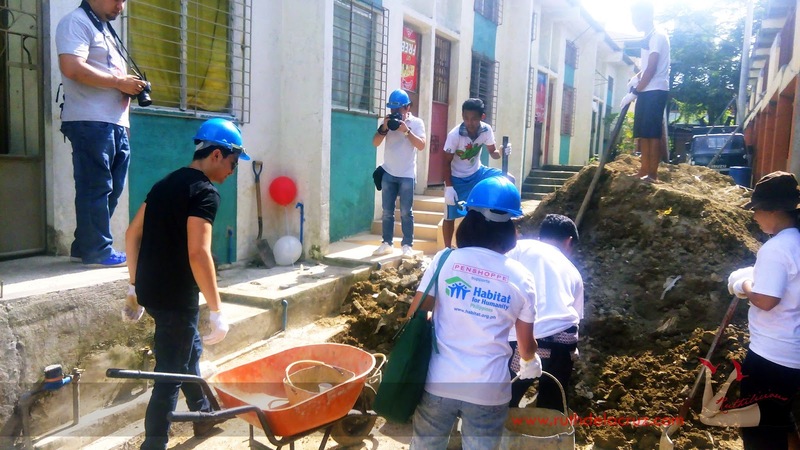 Thankfully, I have my Habitat for Humanity Philippines' family to give me that push to wake up earlier than usual and start doing more productive things. 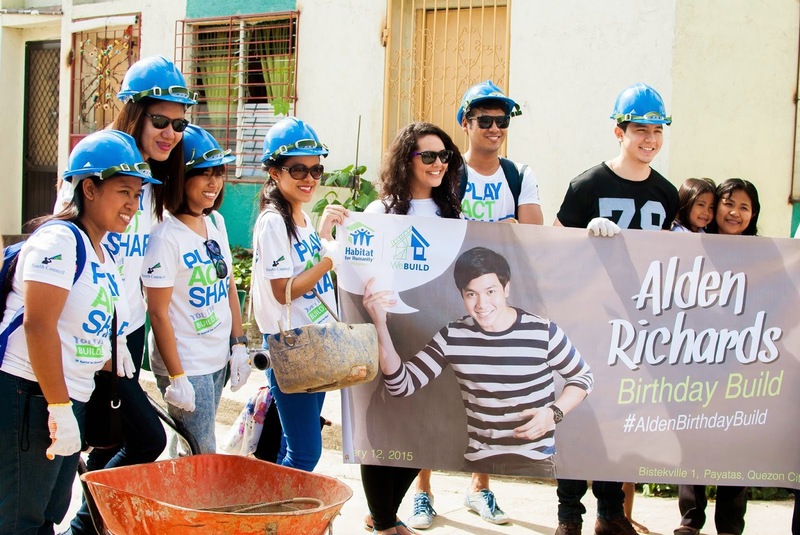 Yesterday, we joined Alden Richards as he celebrated his birthday by helping build homes for Habitat for Humanity. It is my first event for the year. My friends are teasing me that I was up at 4 in the morning (well, I actually begged for a couple of 5-minute snoozes!). I was not feeling very well because of dysmenorrhea but it is the commitment I embraced, so I went and stretched those muscles. 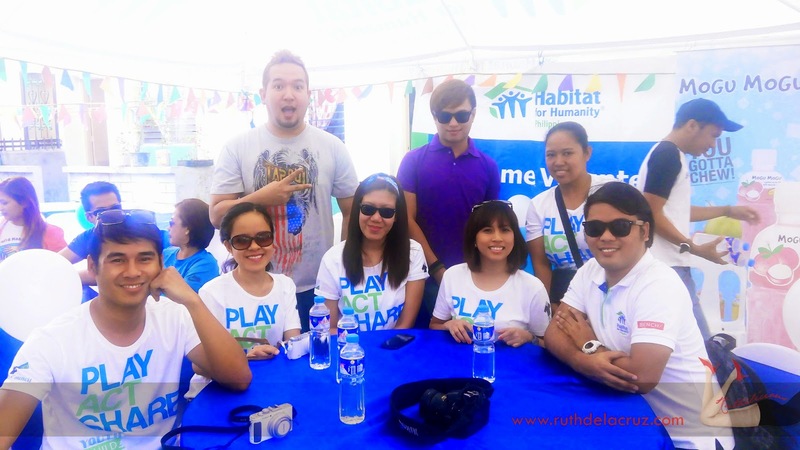 We were back at the Bistekville and we were joined by media, friends from GMA Artist Center, home owners and other Habitat for Humanity online champions. We joined Alden in clearing the construction site by transferring debris from the house project to another construction build site. 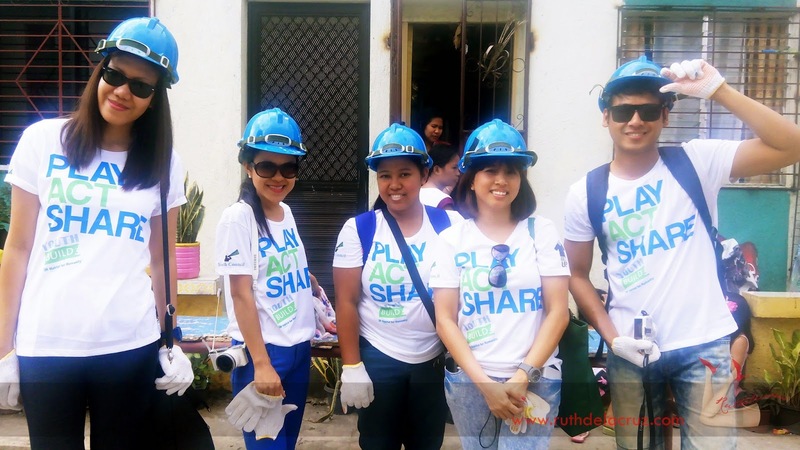 It was the same house that we painted last October, and it is nice to see great improvements - made with love by Habitat for Humanity volunteers. 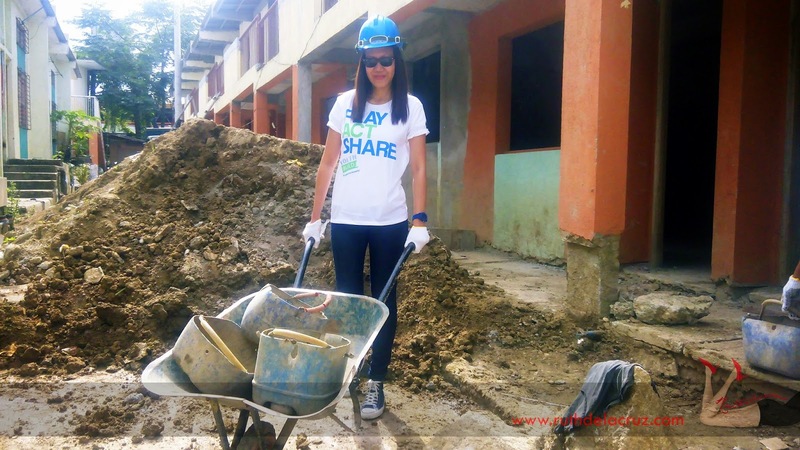 It was not an easy task, especially for someone like me who was nursing dysmenorrhea. 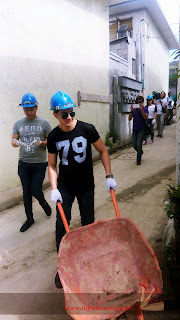 I would have wanted to use the wheelbarrow but I was feeling weak so I just joined the human line passing along the buckets of debris down to the new dump location. 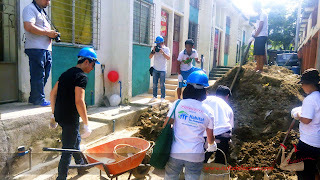 Everyone helped including GMA Artist Center talents (oh, hello Stephanie! You are fun!) which made the work lighter. After a few rounds, we were called back to the tent area. 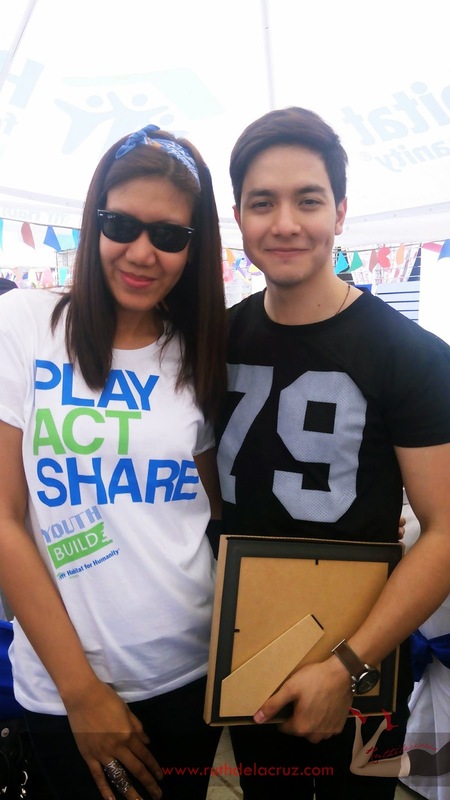 Alden shared his experience, and he said that it was nice to be able to give back and help even in a small way. And what is birthday party without games and contests? 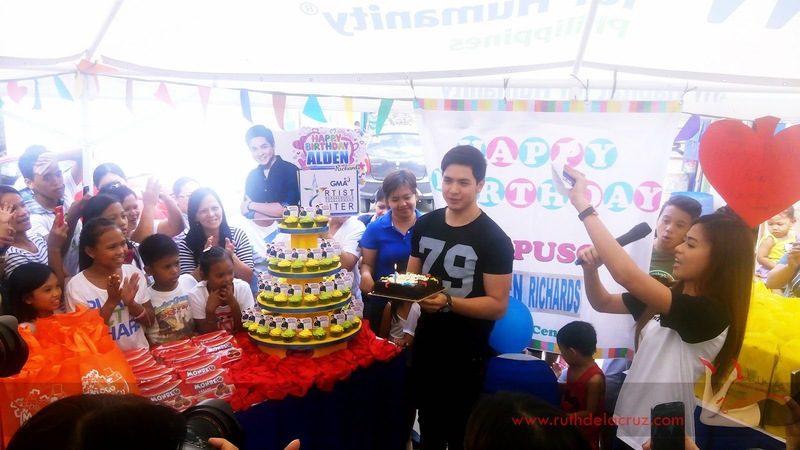 The home owners in Bistekville truly enjoyed Alden's birthday build. 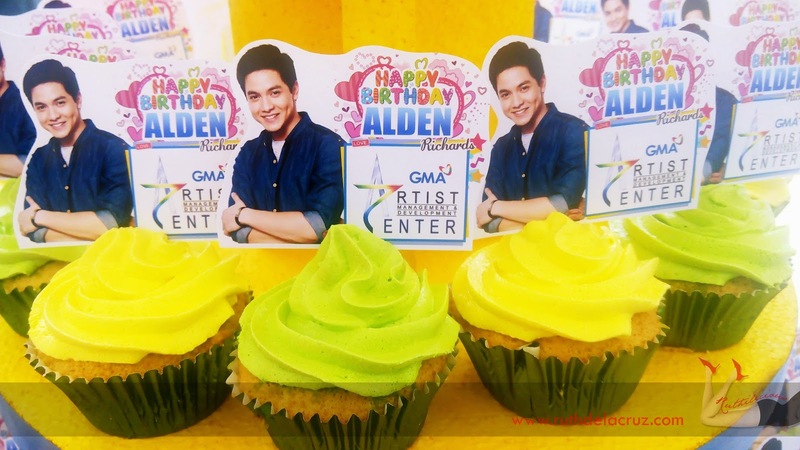 I am thinking of doing a birthday build for my birthday too. I wonder if #ruthers are game to join me? Speaking of birthdays, it was #Earthlingorgeous' birthday yesterday and we spent the afternoon celebrating her birthday. Where did we go? Coming up next!